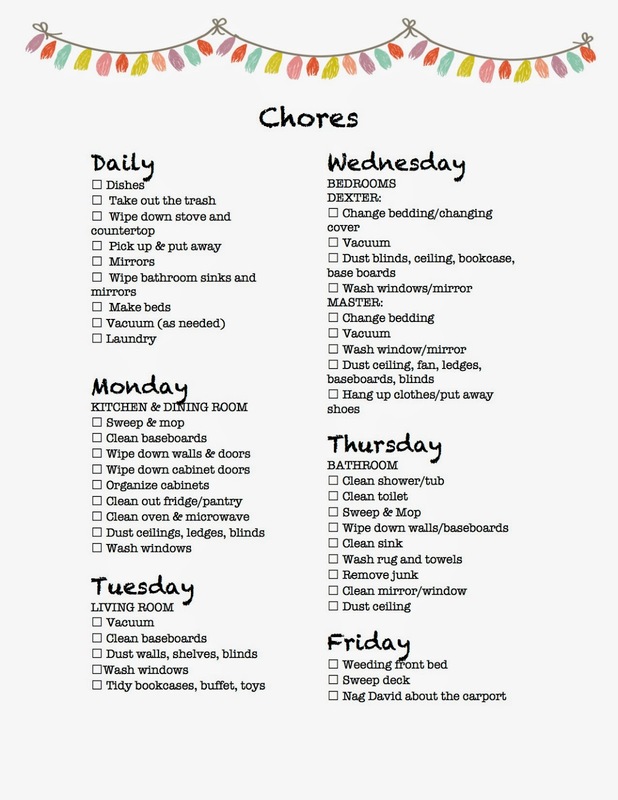 I've been pinning cleaning chore schedules and checklists for a while now. I've tried out a few, but they never really fit because our house is so small. I finally created my own, laminated it, and taped it to the inside of one of my kitchen cupboards. I use a dry erase crayon (stollen from my almost 2 year old), and check things off as I do them. It really helps me keep focused while I'm cleaning, and it seems to go faster.